Join us for fresh air & fitness in stunning scenery at our brand new venue in the mountains of Wales! Our Wales Boot Camp offers the perfect location for a life changing experience. 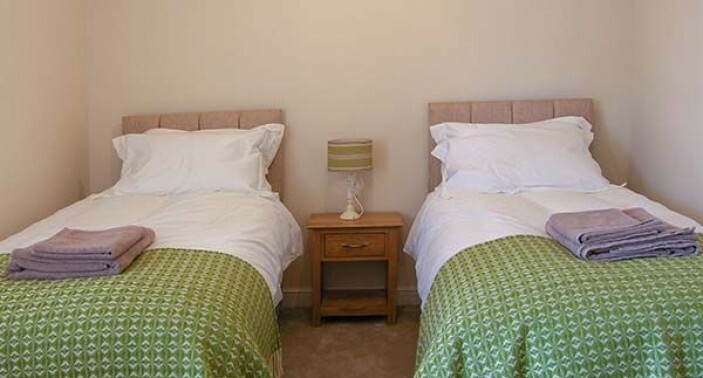 Our beautiful accommodation is situated in rolling countryside and lies in the beautiful Tanat Valley at the foot of the Berwyn Mountains, where you will enjoy hikes around the stunning nearby Lakes & Mountains and even a trail to the summit of the waterfall. If you are looking for the perfect get away that will give you fast results, a kick start to motivate you or you just need the extra help and support to adopt a new healthier lifestyle you are in the right place. Whether the goal is weight loss, pushing your fitness boundaries, or just simply needing a place to get away from your everyday surrounds, get outdoors, get motivated and meet new friends - our aim is to transform our guests in body, mind and spirit. We have devised a challenging and entertaining week packed full of outdoor activities to leave you energised, reinvigorated and motivated. You will feel healthier, stronger, and leaner. Our weight loss and fitness camps have been designed to suit beginners as well as all levels of fitness and abilities, so everyone can work hard but at their own pace to achieve fantastic results! For those who particularly want to improve fitness – we will ensure that you are challenged to push your physical boundaries and move up to the next level. Expect every day to be different with our world class fitness instructors providing their usual dose of high energy, inspiration and humour to ensure you have a fun, challenging and rewarding mix during your stay. High intensity and low intensity workouts are mixed around hiking, strength circuits, cardio circuits, core fitness, boxing, pool sessions in warmer weather, beach workouts and team games. Other activities on offer may include mountain biking, rock climbing, abseiling, high ropes and zip wires to name a few. Daily mobilisation and relaxation sessions will also provide enhanced physical and mental flexibility. Unscheduled time in the evenings can be filled with pampering massages from one of our therapists. Meals are a highlight and during your stay you will enjoy a menu of equisite healthy cuisine with meals and snacks freshly prepared by our own exlusive boot camp chefs. Our unique nutrition program incorporates calorie options tailored to personal requirements devised by our team of experts. Our weight loss results are proven and we have a solid track record. All the planning throughout the week is done for you so you can spend your time focused on the most important person for that week - you! We will provide all the special touches to make your stay comfortable and memorable. You will not only come home feeling exhilarated and motivated towards your life ambitions, but re-educated, in better shape and on track with your weight loss and fitness goals. Join the other men and women who have found success with Prestige Boot Camp. Places fill quickly on our Wales Boot Camp due to limited spaces so book now to ensure you don’t miss out on the fun. If you want a glimpse of what happens at boot camp have a look at our gallery No other fitness or boot camp gets the physical and psychological transformations that we can help you achieve. Our results speak for themselves as do happy clients, so be sure to check out their testimonials, along with our celebrity and press reviews. So what are you waiting for? Make an investment in yourself and your future, and book now - it is a week that will not only change your body but geniunely change your life! Fancy a boot camp abroad? Check out our stunning Portugal boot camp. Want to try a taster day first? Have a look at our London Boot Camp. 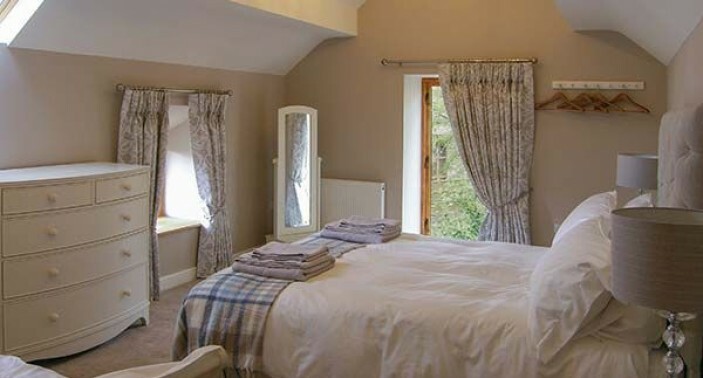 Your Wales Boot Camp accommodation lies in the beautiful Tanat Valley at the foot of the Berwyn Mountains, only 4 miles from one of the Seven Wonders of Wales - the magnificent Pistyll Rhaeadr (240 ft high waterfall) and the stunning Lake Vyrnwy which you will visit during your stay. 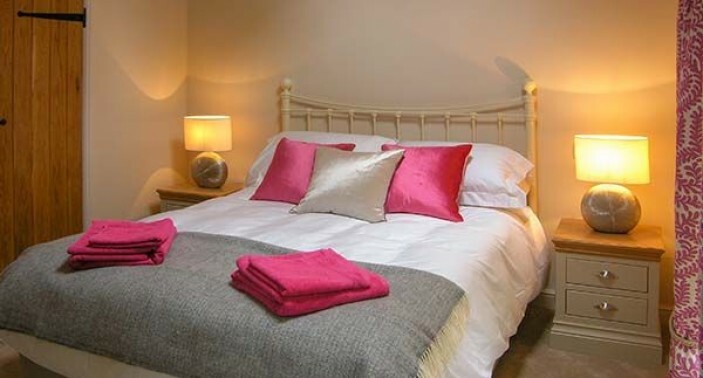 This delightful cottage offers eleven stylish bedrooms, six of which benefit from their own en-suite facilities, and 3 further large bathrooms shared by the remaining 5 bedrooms. 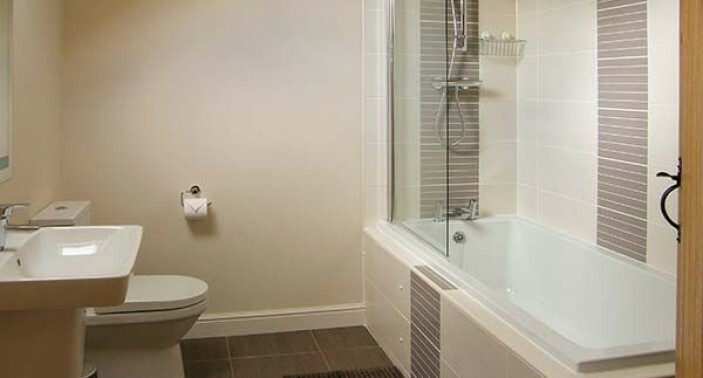 We have room options to suit all preferences and budgets. 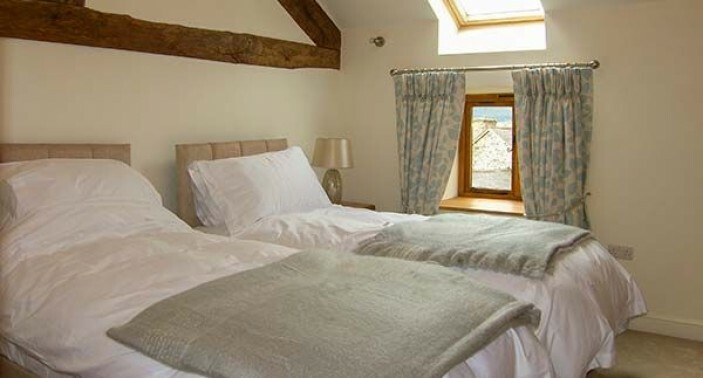 The barns offer two large comfortable & cosy sitting rooms with Freeview TV and Wi-Fi along with a cosy wood burner for cooler climates offering the perfect chill out area for our guests. Outside you will find a superb hot tub to relax and soothe your body after a hard days activities, along with a large terraced suntrap patio with sunken lawn, where you can relax and enjoy the delightful countryside views. We believe we have truly picked an ideal destination for a wonderful boot camp experience in Wales. Free transfers from the nearest train station are included in your course fee. The nearest station to Prestige Boot Camp in Wales is Gobowen Train Station. Trains leave London Euston via Chester regularly with journey times of approx 2 hr 45 mins. Approx travel times from other cities include; Birmingham 1 hr 15 mins; Liverpool 1 hr 30 mins; Manchester 2 hrs. The pick-up time is 14:15 please arrange to be at the station for this time. On departure day we will drop you back to the station for 09:20. Please arrange your return fares to leave after this time. Post code for Sat Nav: SY10 0BJ. You are required to be at this meeting point for 14:30 where you will be met by a Prestige Boot Camp representative. Secure parking is available on site. Cardiff & Birmingham are the closest airports. If you are arriving by plane you will need to take a rail connection from the airport to Gobowen Train Station so you are at the meeting time of 14:15 where we will collect you. If you need to book a taxi transfer from the airport in advance please contact a local transfer company at the airport. On the final morning departure will be after a final fitness session, weigh and measurements, and breakfast. Please organise return train fares from 09:30. If you are departing by car you are free to leave any time before final checkout at 10:00. Please liaise with us for taxi transfers to the airport. We also provide a healthy packed lunch for your return journey. Where is the boot camp? The Wales boot camp is set in the rolling hills of North Wales not too far from Chester with glorious walks, lakes and waterfalls. What could I expect to lose? Depending on what your goals are and how much you apply yourself. Some of our guests may not want to lose weight. We will ensure that you are on the correct boot camp nutrition plan that best enables you achieve your own person goals. Our average weight loss is 9lbs for females and 10lb for males plus signfiicant inch loss. Most women drop a dress size in 7 days. Disclaimer: Please note that these are average results recorded from guests on past 7 day residential boot camps. Please be aware that results will vary on an individual basis. We will provide a kit list of recommended clothing upon booking. 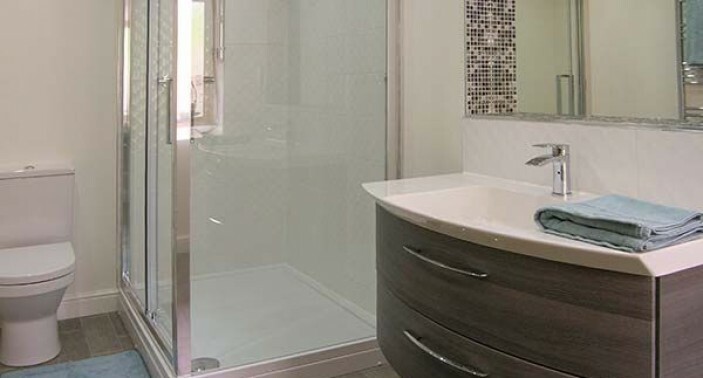 All our locations have washing facilities. We also sell most items you need ourselves. Please visit our online shop or contact enquiries@prestigebootcamp.com for our clothing brochure. How is the program different if I am not looking to lose weight and just wishing to increase fitness? Calorie intake and portion size will be increased for you. You will be encouraged to work at the higher end of your capability to reach your fitness goals and you will see what you what you truly can achieve. Look at your week as a self-indulgent week. You get to focus on your body, mind and inner wellbeing whilst staying in a healthy, motivating environment. You will learn about how food affects your training and fitness goals. You will learn how your mind affects you, how external influences affect you, how you should train, and ultimately how to achieve goals you have always aspired to reach. I am really unfit, am I suitable for your boot camp? Yes you are. We help ladies and gents of all abilities, ages, sizes etc. We want to help as many people as possible to achieve whatever their goals are. We have the experience, the knowledge and passion to help you. We will never give up on you and only ask you to do the same. I exercise a lot, will I be able to get a good work out? We believe there is no such thing as an easy or hard session. It's how you apply yourself that counts, and we will teach you to do that. All our trainers have worked in the rehabilitation of injuries so know how to design sessions that can push people of varied ability. Could I take some personal time during my stay? We want you to get whatever you want from the week. So you have the option to train whenever you like, but remember we are a residential boot camp so everyone stays with us on our grounds. How fit do you have to be? We pride ourselves on being able to train a complete beginner or a professional athlete. We will adapt to your requirements not the other way around. Cardiff & Birmingham are the closest airports to our Wales bootcamp? What are the optional extras? Massages are available in the evenings at extra charge payable in cash. Do I need holiday insurance? Yes. This is like any other holiday and is highly recommended you have insurance in place to cover for injury, illness or cancellation. The boot camp prices are per person and include all accommodation, food and drink, training, fitness classes, equipment, activities and workshops. A 30% deposit is required to confirm your booking with the remainder payable 6 weeks before the course commences. In the words of Nike, Just Do It!